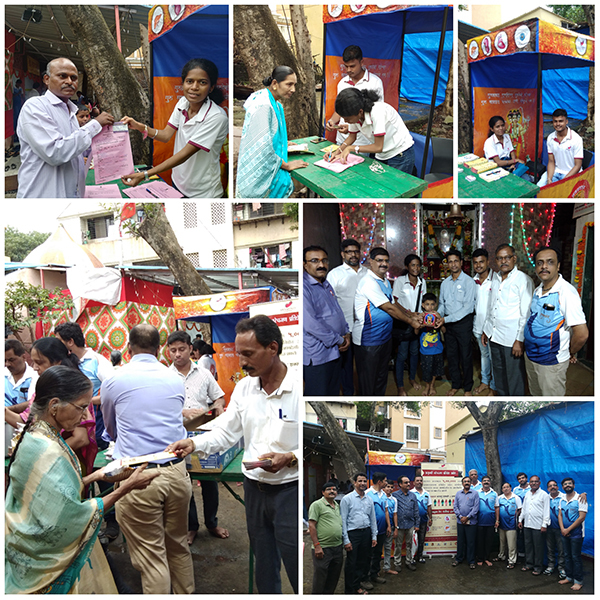 On occasion of Gurupurnima, AKF had participated in an Organ Donation Awareness Camp arranged by Shi Datta Temple trust 27th July 2018 (Friday)at Bhoiwada (Dadar) from morning 8am to 8pm. The main aim for participating in this event was to promote awareness about organ donation. For this event AKF had distributed informative flyers and brochures of organ donation, approximate more than 600 devotees. In this event 12 registrants registered themselves for ORGAN DONATION. One bhajanmandal named Dattachand from Nashikshowed keen interest in our novel idea and they proposed us to conduct an Organ Donation awareness lecture at Nashik. DattaMandir trust too was impressed with our presence and response we got from devotees. So they requested us to arrange the sameevent every year. This event was conducted under supervision of Mr.NileshShedge, Ms.RanjitaParab, Mr.KahnuPradhan. Also got support from Mr.KunalShinde and Mr.SantoshManjrekar.